A number of months ago, I wrote a blog post on How to Freshen Up Your Parents’ Formal Dining Set that’s been pretty popular. I truly feel this way — why throw out high quality furniture when, with a few simple ideas, it can work stylistically for a younger generation, be higher quality, and save money and landfill space?! Fast forward. A local friend/client of mine is the process of redoing her dining room and asked for advice. 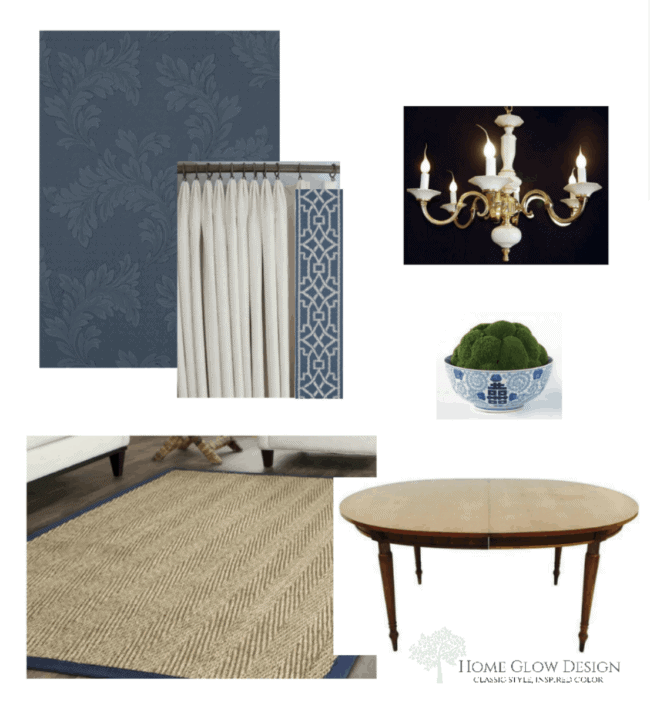 She wanted a blue and white dining room that was happy, yet “grown-up” and done in an affordable way. However, the room also had to be extremely durable — she has 3 kids under the age of 8 and the dining room is where they eat all of their family meals, i.e. apple sauce on the seats every day. Some ideas from the original inspiration board. Other item specifics have changed somewhat, but the feel is generally the same. My client’s house is a classic Cape Cod from the 1930s, and I thought the Queen Anne style would work very well stylistically, not to mention the fact that Queen Anne stuff goes for a song! She found a set of 6 good quality Queen Anne dining room chairs on Craigslist. They were heavy and solid, but dinged up — perfect for a paint project. But how to paint? While a tough lacquer treatment would be ideal both for color and durability, that was clearly beyond budget. But then I thought of the amazing Amy Rothe, our local chalk and milk paint maven and owner of the local painted furniture shop, Sage & Twine. She would know what to do! Amy (Rothe, not me) says that she has had a love affair with paint since she can remember. As a young girl, she painted with watercolors, and, in her teens, picked up jobs here and there during the summers doing interior and exterior house painting to earn extra money. Years later, following a 10 year stint teaching science in New York, she and her family moved to Maine. Having upsized, she (like so many of us) realized they didn’t have enough furniture or funds to complete the rooms in their home, so she started looking for affordable options for filling in the gaps. On one of her furniture-hunting trips, she walked into a cute, once-a-month pop up shop called Cowgirl Emporium owned by Cindy Stewart, just outside Ellsworth, ME. Cindy sold beautifully painted furniture and repurposed home decor. Except chalk paint really wasn’t around yet. At least not in Maine. So there was a lot of sanding and prepping and priming and painting. And painting again and again sometimes. Latex. Ugh. I feel. the. PAIN. It’s why I don’t DIY. “I learned the hard way with that paint, but it gave me great experience!” Amy quips. Enough experience to open up shop. Amy’s shop is everything utterly charming — all vintage, repurposed, handmade, and local items … and lots of paint-your-own-furniture classes. She specializes in furniture painted with Miss Mustard Seed‘s Milk Paint and the FAT Co. Chalk Paint, both selling pieces and accepting commission work from clients. Lots of classes to embolden even the faintest of heart! I decided I had to try for myself, so I signed up — along with my friend — for one of the “Bring Your Own Piece” classes. That way, she would have 2 of the chairs by the end and only 4 to do on her own. Amy loves the FAT Paint Co., which is based in Canada. FAT Paint began in the Spring of 2012 when Victoria, a DIYer with flair, and her brother Bradford, an artist with mad skills, meshed their collective talents together to make a chalk-style paint that was easy to apply, versatile, and inspiring. What started in Victoria’s kitchen with a KitchenAid mixer and a dream, the FAT Paint Company now has a 5000-square-foot production and retail space with more than 130 retailers across North America. The colors are beautiful and can be customized. All set up for our class! There were 4 of us that day. Amy’s Miss Mustard Seed’s Milk Paint inventory. Sustenance for the fearless! You can’t DIY on an empty stomach! We chose the “Antique Wedgewood,” a lovely blue/gray, for my client’s chairs. It will look gorgeous with the Thibaut wallpaper we selected. My friend’s 8-year-old son joined us for part of the class and helped us mix paint. Amy Rothe giving us tips of the trade she’s learned through years of creating painted furniture masterpieces. I would divulge them here, but then you would haven’t any reason to take the class! Our subjects for the day. Wiping off dust and debris with a wet cloth and tackcloth. Practicing with wax and polycrylic finishes. We chose the polycrylic for a slight sheen combined with durability. Our compatriots, tackling some dated nightstands. My friend taking the paint plunge. One of the reasons I stopped painting furniture myself was how time-consuming and tricky working with latex paint is! As Amy related, all the prep work, sanding, priming, etc. is just a big time bore, IMO. 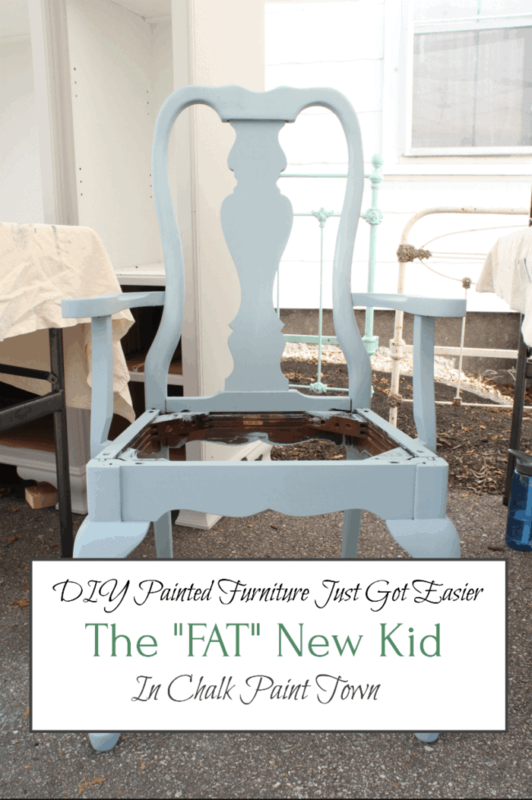 With FAT chalk paint, there IS NO SANDING YOUR PIECE! You actually want the gloss finish intact to give the paint something to which to cling. And NO PRIMING. I actually like doing this! But this isn’t me. This is my friend at sanding practice. We did not want a distressed look, so knowing when to stop was key. She’ll be here in this room soon, and my friend will be one step closer to a finished dining room. Friggin’ amazing double fudge brownies. I had 3. I’m really not kidding. 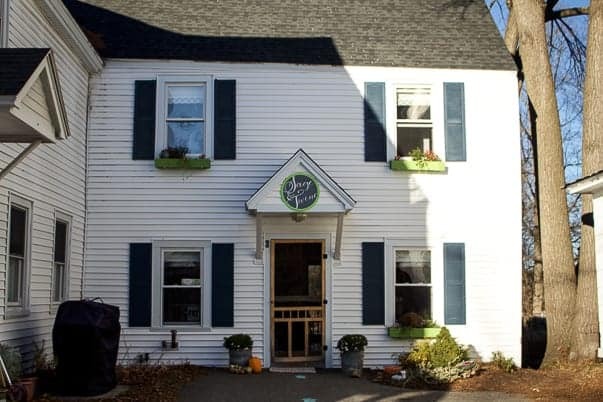 If you’re interested in FAT Chalk Paint but you don’t live within 100 miles of Contoocook (pronounced “cuhn-TUH-cuhk”), you can look up your nearest retailer here. Also, Sage & Twine’s First 500 Days will be celebrated October 13 — so, locals, stay tuned! Anywho! Any thoughts? Questions? Pundits? Praise? Next week I’ll be back with good news for those of you who don’t want the same ol’ prints everyone else has but can’t necessarily afford original art, either. That is one of the great things about this paint — almost odorless — so you can do indoors! I remember painting a small side table in the middle of February in our tiny Washington Heights apartment. I nearly killed us with the smell and then nearly froze us out because I had to open the windows for two days in the middle of winter. I have repainted many pieces of furniture over the years, both with spray paint and latex, but I still haven’t tried the chalk paint. Your post has me seriously wanting to try it since it’s much less prep work than what I have done in past years. There isn’t a retail store that carries the FAT paint in my area, but I really like the selection of colors they have. 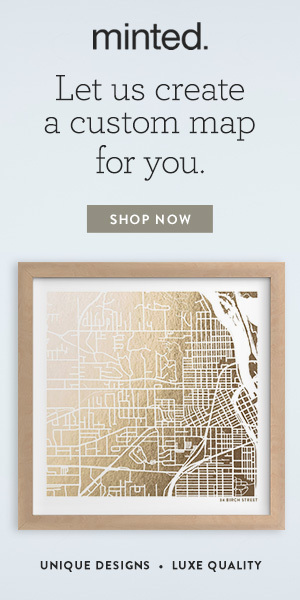 Hmmmm….maybe I’ll look at Miss Mustard Seed colors again.